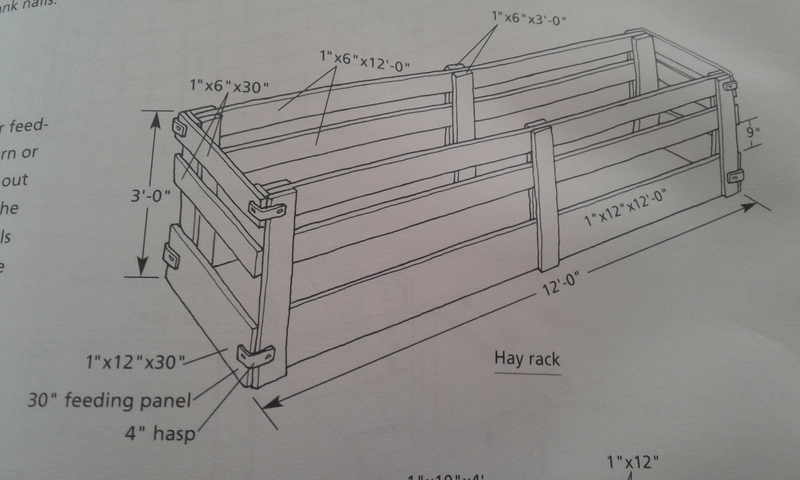 Hi Gang, a lovely reader commented and is interested in doing their own version of the hay feeder, I want to give a shout out to the book that inspired our’s (we did modify it as it, as we were using a pen wall as the back, so it only can be eaten out of on one side and we did the end quite different as well because it was again being attached to the wall itself. 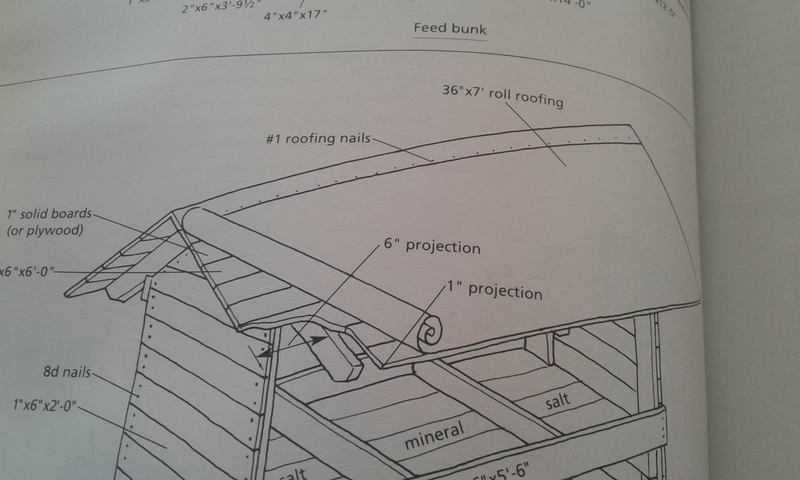 The person looking to build one for their sheep want it for the outside and this is designed for inside a pen, so I am posting the inside design that inspired ours and then I am posting the two that show a top that was shown in the book to make for outdoor loose mineral and salt feeder for the sheep that includes a roof.. I would also consider the idea of maybe? needing to put a bottom in with drilled holes for drainage.. try it without and see if you need to do so.. if you make it in the size given in the picture, I believe that two people would be able to pick it up and move it carefully place to place. 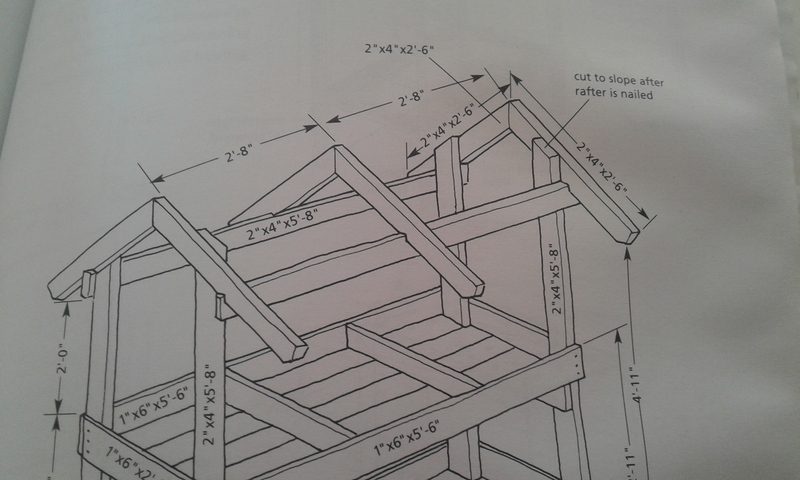 the weight of the roof might make it less so..
A full and huge shout out to How to build Animal Housing, 60 plans for coops, hutches, barns, sheds, pens, next boxes, feeders, stanchions and so much more.. by Carol Ekarius. 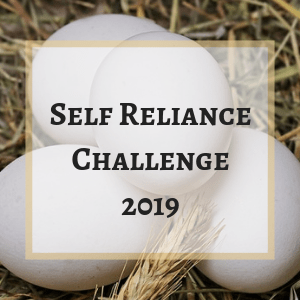 This is a 5 star book, and if you have a small farm and homestead, I highly recommend that this book finds its way to your book shelf, and will often end up pulled out and used provided you are frugal and want to do things on the farm yourself.